Diamond Head, one of the best-known volcanic craters in the world, can be seen from the southeast coast of O‘ahu, not far from Waikiki. 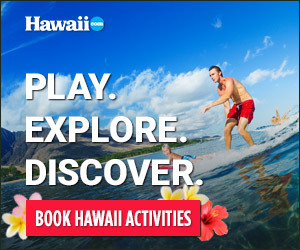 A great Hawaiian adventure for the entire family, Diamond Head is one of Hawai‘i’s most recognized landmarks and offers hikers some of O‘ahu’s most breathtaking and spectacular views. Here’s a little history. Known in Hawaiian as Le‘ahi (“brow of the yellowfin tuna”), DIAMOND HEAD was so named when British seamen saw calcite crystals sparkling in the sunshine and thought they’d found diamonds. The volcanic crater, a major O‘ahu landmark, has been extinct for 150,000 years. with a spectacular view of the island’s West Side. Try it at sunrise. Before or after making the climb, you’ll want to have energy—and then refuel. TUCKER & BEVVY (tuckerandbevvy.com) is a good spot to grab a picnic lunch or snack for the historic journey! DIAMOND HEAD VISITOR CENTER offers Hawai‘i’s only official Diamond Head logo merchandise. Revenue generated from the new Visitor Center helps support interpretative and educational activities at this Park. To learn more, visit pacifichistoricparks.org or call (808) 954-8777. Convenient and affordable, admission to Diamond Head is $1. If you decide to drive part of the way instead, parking is $5 a car. Parking is very limited. To avoid the peak traffic periods, arrive between 1 and 4 p.m. Open from 6 a.m. to 6 p.m., 365 days a year.